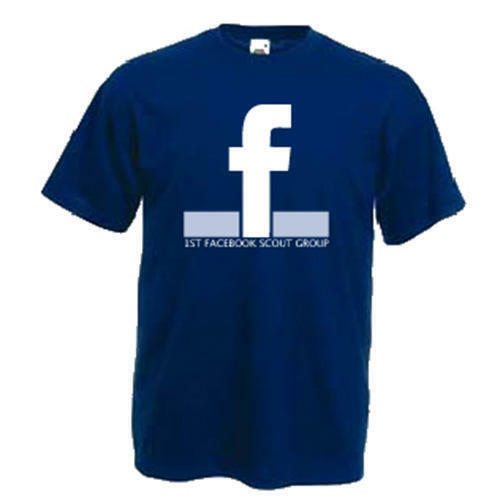 A navy t-shirt with the 1st Facebook Scout Group logo printed to the front chest. Wear on camps as a great conversation starter. Please select the size you require from the dropdown menu. £1 from the sale of this item is donated to charity - as decided by the Group. Select... S 35/37" M 38/40" L 41/43" XL 44/46" 2XL 47/49" 3XL 50/52"